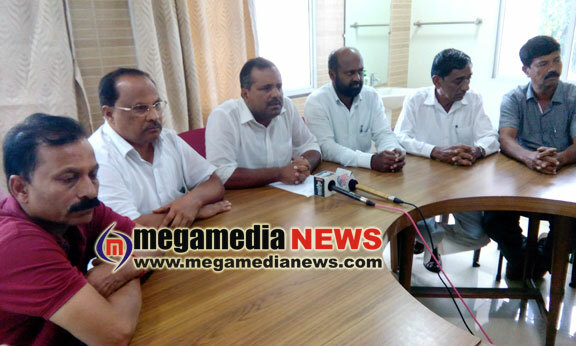 Mangaluru : Plastic rice can not be distributed to the market for such a low price, it’s just rumours news said, Minister for food, civil supplies and consumer affairs U T Khader said on Saturday. Khader said that people need not panic about arrival of plastic rice and plastic eggs in the market, as there is no confirmation for the same. “We have neither received complaints nor found any instances of plastic rice being sold through fair price shops. All reports are based on rumours and there is no base for it. Hence, people need not panic about such reports,” he told reporters. The minister made a veiled attack on opposition parties charging that the reports of plastic rice was a part of an attempt to destroy the popular ‘Anna Bhagya’ scheme of the Congress government. “Anna Bhagya scheme is being implemented by the government very successfully in the state. The allegation of plastic rice is an attempt to bring disrepute to the popular pro-poor scheme. There is no scope for adulteration in the rice supplied through fair price shops in the state as we procure the same through Food Corporation of India (FCI). We need an average of 2.77 lakh metric tonnes of rice per month, but the state has no capacity to produce such a huge quantity of rice. Hence, rice from Chhattisgarh, Punjab and other states are being procured through FCI,” Khader said. On reports of plastic eggs being sold in the market, Khader said that the health department will conduct inquiry and submit a report on it. He said that it is practically impossible to sell plastic rice and earn profit out it. “The price of rice is about Rs 30 – 40 per kg, whereas, the price of plastic is more than Rs 100 per kg. Hence, there is no base on allegations that plastic rice is being sold in the market. Food items supplied through fair price shops in the state are of good quality and standard,” he asserted. Speaking about sea erosion Khader said, a family from Kaico on the coast has been shifted due to rough seas. He said that since the sea is rough several houses on Ullal coast face threat. “Officials of the port and fisheries department have been visiting spots where people face the brunt of rough sea. Waves are rough at Hillary Nagar, Someshwar and Uchil. Officials have identified various spots on Ullal coast where possibilities of natural calamity are more,” he said adding that the district administration has been asked to take necessary measures relocate families and to compensate them. Deputy commissioner K G Jagadeesha will submit a detailed report to the government on losses due to sea erosion on Ullal coast. While revenue department will assess the loss, port and fisheries department will be monitoring the region to prevent damages and to help families, Khader said adding that the government will release funds to compensate families. He said that the government has plans to lay offshore berms at three more places to prevent sea erosion. A meeting will be held soon to finalise decisions, he added.